I don’t dare look at the date of my last post. Probably a year!! Or maybe more. So much has gone on over the last 24 months. Rather than rehash my life, I am starting with just today. Last night I couldn’t sleep. I have terrible Restless Leg Syndrome. I tossed. I turned. I got out of bed. I laid on the couch. I sat in the recliner. UGH! Finally I decided to go sit in our hot tub. AHHH Relief! It was 5 AM. Why did I wait so long to get into that warm water? I knew it would help. I could hear that clear voice in my head telling me to get in the hot tub for pain relief, but I did not heed it. Sometimes I do the same thing when God is speaking to me. WHY? I wish I knew! Am I just being disobedient? Or think I have a better way? Or pretend it is not His voice? Proverbs 1 tells us to gain wisdom we need to listen. So often I am so busy thinking of my next step, next sentence, or next whatever I fail to listen to His instruction. I need to have that written on my forehead. For years I have heard God calling me to train as a speaker for Stonecroft Ministries. I always had an excuse why I couldn’t do it; work, speaking guidelines, etc. With great joy and enthusiasm I share with you that I am now officially a speaker for Stonecroft Ministries. Thank you God for another opportunity to share your Gospel. It is the right time for this. God is opening doors and I love going through them to see what He has planned for me. 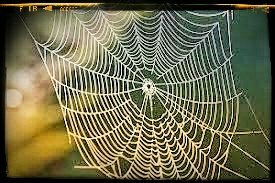 Sometimes there are a few cobwebs in the doorway but I am dusting them off and being His servant. Don’t be scared. Listen to Him, open the door, wipe the cobwebs away from your face, and walk on through. The journey will be amazing. I love this perspective. Sometimes our reasons are excuses and we stay stuck. It’s great to be your Stonecroft sister! Welcome to this awesome outreach.